Paul has founded/co-founded or invested in more than 10 companies in the past 20 years. He is the pioneer of ‘pop-up’ retailing in Australia and New Zealand through the market-leading chain, Calendar Club, which he founded in 1995 and which has since opened and traded 2,500 of its own stores, stocking 4,000 calendar titles and selling 1.5m calendars in 2 months every year. He also chaired the Group’s International Advisory Board which had oversight of 1,500 stores across five countries. He was an early stage investor in the disruptive payments company, Epay, which grew to annual revenues of $2bn and was sold to a listed US company. In recent times he was the start-up CEO of the electricity retailer, Powershop. Paul also co-founded Australia’s first innovation lab, has interests in several start-up businesses and has served on more than 10 Boards/Advisory Boards. He is also a long-term director of the award-winning social enterprise, Streat, which provides life-changing opportunities to disadvantaged and homeless youth. He is passionate about innovation and solving complex market problems. 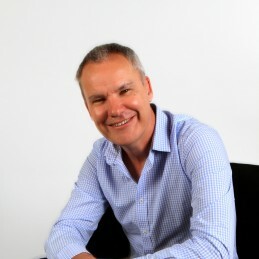 He teaches organisations how to think creatively and entrepreneurially through his training business, The Breen Institute. Paul is the author of the business book The Entrepreneurial Way, 92 Success Secrets and Shortcuts to Unleash the Entrepreneur in You, which was released in September 2015.